Screenshot of Dylan Tweney on Fox Business talking to Charles Payne. 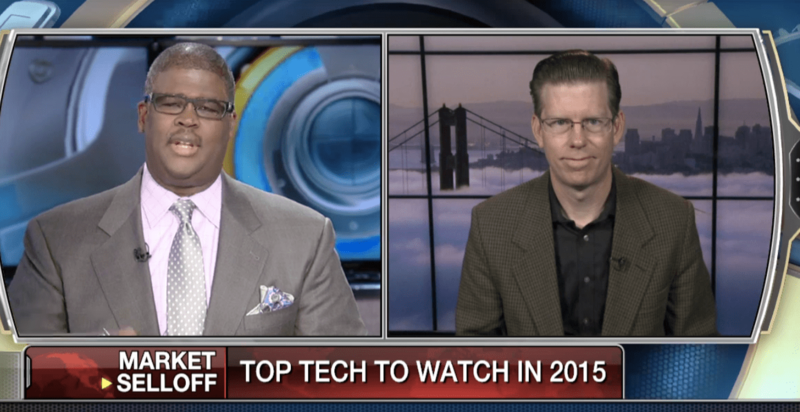 Wearables will be everywhere at CES, I said last week on the eve of the big gadget show. “Everyone wants to be the next Apple watch,” I told Fox Business, “but unfortunately we’re going to have to wait for the Apple Watch to come out.” And as everyone knows, Apple doesn’t do CES. What else could I complain about? Virtual reality masks like Oculus VR. If you liked the way you looked in Google Glass, you’re going to love Oculus, I joked.